The rich history of India, along with its cultural and geographical diversity makes its international tourism appeal large and diverse. 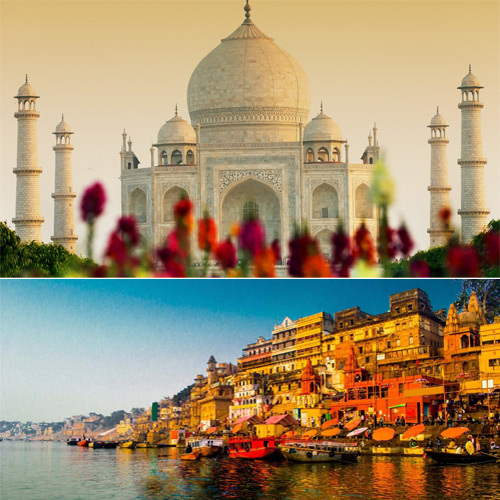 Here are list of tourist attractions in India. Agra is the most visited city in India, since it is home to one of the greatest eternal symbols of love-Taj Mahal. This white domed marble mausoleum is one of the Seven Wonders of the World and has an epic love story behind it. Situated on the banks of the River Ganges, Varanasi is sacred to Hindus, Buddhists and Jains and also one of the oldest continuously inhabited cities in the world.